Family and parents influence the academic, social and emotional development of children, which can enhance and improve their educational experiences and outcomes. Family and parents are critical for the healthy development of their children; happy, healthy children have a positive impact on the climate of the school, resulting in improvement in academic outcomes. Families play an integral role in school climate improvement. Families are more likely to have children who experience a positive school climate and have high levels of academic achievement when they are knowledgeable about their children’s school and experiences at school, have consistent contact with their children’s teachers, and hold staff accountable for maintaining a positive, healthy climate. Families can help improve the climate of their children’s school by actively recruiting other families to become involved, and by reinforcing academic, social, and emotional lessons learned at school in the home. It is important that family and parents connect with the school community in meaningful ways. Parents and school staff must work together to support and improve the learning, development, and health of children and adolescents. Parent and family partnerships with schools can promote positive behaviors among children and adolescents. For example, involving parents as volunteers greatly enhances student engagement, school connectedness, and an overall feeling of well-being and confidence for both parent and child. When parents and schools work together, they can deliver clear, consistent messages to children and encourage the development of positive health and academic behaviors. Family and parents are partners with schools to ensure the development of the whole child. The school community should actively encourage parental and family participation and engagement. To increase parent engagement in school, schools must make a positive connection with parents. Schools also should provide a variety of activities and frequent opportunities to fully engage parents. 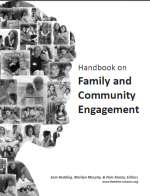 Schools can sustain parent engagement by addressing the common challenges to getting parents engaged and keeping them engaged. Hara, S. R., & Burke, D. J. (1998). Parent involvement: The key to improved student achievement. School Community Journal, 8(2), 9–19. Hughes, J., & Kwok, O. (2007). Influence of student–teacher and parent–teacher relationships on lower achieving readers’ engagement and achievement in the primary grades. Journal of Educational Psychology, 99(1), 39–51. Jeynes, W. H. (2003). A meta-analysis: The effects of parental involvement on minority children’s academic achievement. Education and Urban Society, 35(2), 202–218. Willms, J. D., & Somers, M. (2001). Family, classroom, and school effects on children’s educational outcomes in Latin America. School Effectiveness and School Improvement, 12(4), 409–445. 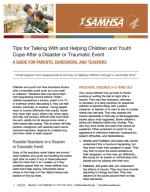 Helps parents and teachers recognize and address problems in children and teens affected by trauma after an act of violence; describes signs of stress reactions that are common in young trauma survivors at different ages, and offers tips on how to help. Reviews the importance of school connectedness to student health and behavioral outcomes and suggests actions parents and families can take to increase their child's connectedness to school. 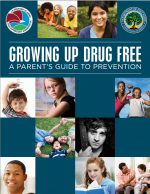 includes fourteen action steps that parents can take along with a list of additional resources. Provides educators, community leaders, and parents with a survey of the best research and practice related to engaging families and communities in students’ learning and academic, social, and emotional development. Includes chapters on aspirations and expectations, self-efficacy, homework and study habits, engaging families in reading, reading and literacy, college and career readiness, partnerships, and more.